The Disney Dream sailing to the Bahamas, and Disneys private island Castaway Cay is very literally my favorite wedding venue out there. 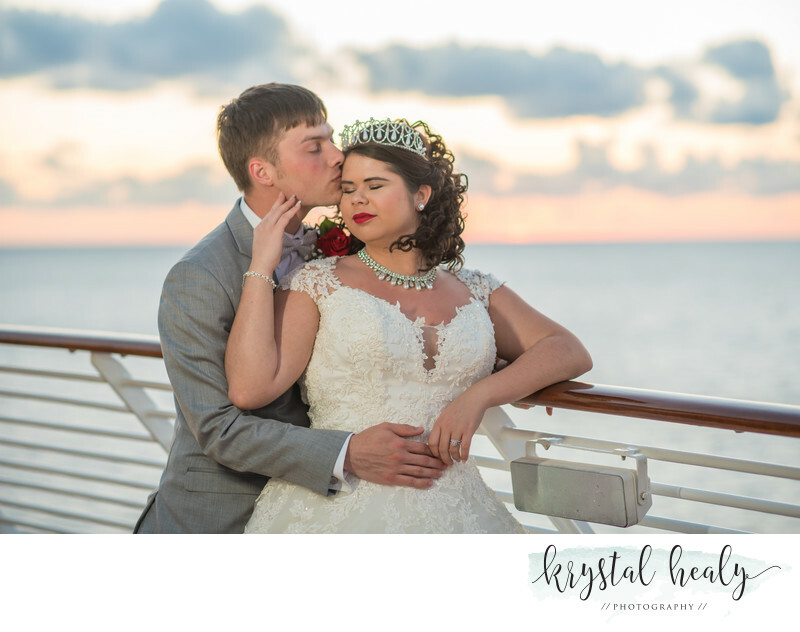 This stunning wedding photo was on the top deck of the amazing Disney Cruise Line ship, just as the sun was setting on their wedding day. The onboard wedding coordinator, Caroline, was a jewel to work with. She helped Tiffany and Michael with all of their wedding day needs, and even got us into a few awesome spots aboard the ship for photos. I have been on the Dream for two other weddings, and Disney always has gone beyond expectations. With the built in entertainment, 5 star restaurant quality food, and the general Disney attitude, there is no better wedding venue than aboard the Disney Dream when sailing on the high seas. Or in this case on the beautiful beaches of Castaway Cay with our toes in the sand. Having a photographer with you for your cruise wedding is paramount because we can then go out and take different images throughout your wedding cruise. Things like fireworks night, and sunset photos on the wedding day that would not be a possibility with the onboard photographers. Knowing 100% that you have a knowledgable professional to capture all the big moments is worth its weight in gold. Whatever your wedding destination, be sure to make it a point to go outside for pictures in the sunset on the wedding day. You will have memories and the pictures to last a lifetime, and to pass along to future generations to come.